Free Shipping on this hat. Australia's favourite Akubra—a style in the tradition of the Australian stockman. 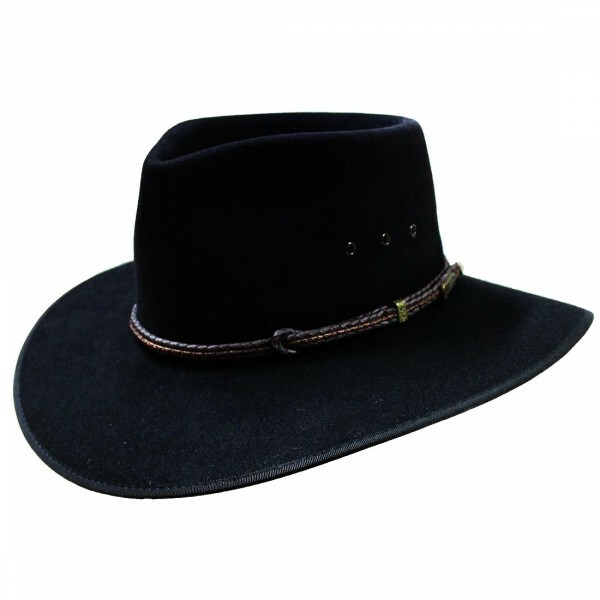 Features a pinched crown and broad, dipping brim with eyelet vents. This hat Is made to order and can take up to 8 weeks. All of our hats are delivered in a specialised box to keep the hat in its original shape.